Pressure washer trigger with a max rating of 350 bar. It is a 3/8s swivel fitting x a ¼” OUT fitting. 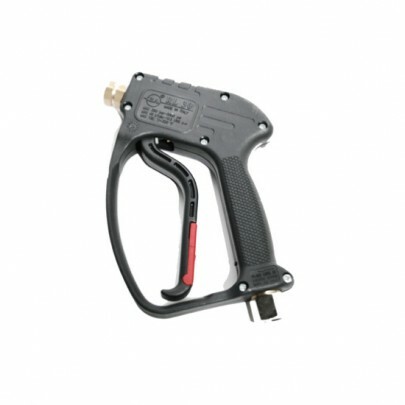 This trigger has a max flow rating of 40 LPM.